“We help people to help themselves”. Our values are not merely enshrined in words but are reflected in the work we do every day. establish alliances with our clients. have the utmost regard for the needs and wants of our clients. have a passion for what we do. possess knowledge and experience to address key personal and workplace issues. offer our services with wisdom, integrity and a results focus. have answers but we also have more questions. are dedicated to maintaining the highest ethical standards. Managing Director of a national human resources/management consulting firm. has earned numerous degrees including: B.A., M.A., and Ph.D.
has delivered over 1800 lectures/workshops to private and public sector groups, including: hospitals, corporations, associations, colleges, universities, and sports teams across North America on health and performance issues, such as: addictions, stress, critical incident stress, burnout, personal excellence, engaging change, coaching for results, personal empowerment, creating better and faster results, violence in the workplace, double bottom line organizations. As well as receiving many awards and honours and being a popular international speaker, he has written numerous professional papers, had timely articles in major newspapers and business magazines on a variety of health related topics and has 8 books to his credit, including Pressure Proofing: How to Increase Personal Effectiveness on the Job and Anywhere Else for That Matter and his latest book, Fearless Job Hunting: Powerful Psychological Strategies for Getting the Job You Want, with co-authors Bill Knaus, Ed.D, Russell Grieger, Ph.D. and Nancy Knaus, Ph.D.
Dr. Irene Briedis has an outstanding professional career that spans more than 25 years as a researcher, clinician, coach and senior level consultant. Her initial years were spent in a senior position at a major Toronto teaching hospital. There she directed the Cognitive Behavioral Unit and was responsible for outpatient care, research and teaching and supervision of graduate level students. At the same downtown general hospital she was part of the teams that introduced the HIV Clinic and The Women’s Clinic as significant components of outpatient care. 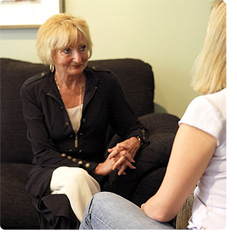 She provided the spectrum of Psychological Services to the diverse clients of these clinics as well as hired and supervised staff as these services expanded. During the last 15 years, she has branched out and acted as a senior consultant assisting individuals in the attainment of health and success in their personal and work lives. She provided service to a variety of large organizations, including: other hospitals, Employee Assistance Programs (EAPs), Outplacement firms and Human Resource departments of various companies, regarding assessment/evaluation, coaching, recruitment, management development, career counseling, best management practices and human resource development. Her expertise is based on practical experience in combination with a comprehensive and thorough background in the behavioral sciences.